How consumers experience packaging plays a role in all of the ways they interact with a product. In the cosmetics industry, the promise to feel more beautiful by a product must be clearly conveyed through the product’s packaging. The strong push for packaging targeted to male cosmetic users really kicked off in 2009 and has surged largely thanks to interest from young men. Allied Market research group projects astronomical growth in the male shampoo, soap and grooming market in the coming years. How astronomical? Well, men’s personal care is expected to be a $166 billion industry by 2022. But what is “male” packaging and is it even really targeting males? More on that in a few. “Consumers today are attracted to the experience that the brand or product offers,” says Greg Feinberg, President of Aisle 9 Group, a strategic retail product marketing company and Ernest Packaging partner. That is only one brand strategy, though it has been extremely successful. According to Feinberg, “75% of all CPG (consumer packaged goods) products are made by women, and the other 25% are influenced by them. So packaging cannot be too masculine because you’re not necessarily selling to men.” Thus, if your male products aren’t selling it may be because it’s women who are buying. 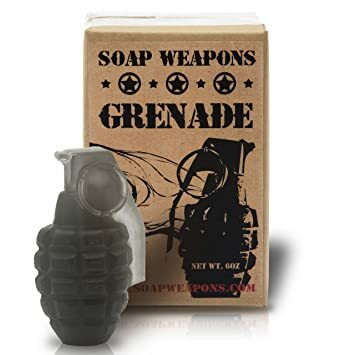 With the exception of gimmicky products like soap grenades, we mostly see successful masculine products fit a certain mold. The colors tend to be dark grays and blacks with simple shapes. The openings may even be on the opposite side when compared to the women’s product, even from the same manufacturer. But mass market men and women cosmetic products still feel very similar in many regards. Are you in the market to package male beauty products? Learn more about Ernest’s beauty and cosmetic packaging solutions and contact us today to learn how to make a bold statement with your packaging.